Mint My Designss takes wedding cards to another level. This pioneering firm takes your ideas as well as your likes and dislikes to design a card with your personal touch. Besides all the hubhub and the planning over wedding trousseau, jewelry, venue, destination, guest lists, food, etc, there is also the matter of the wedding card. 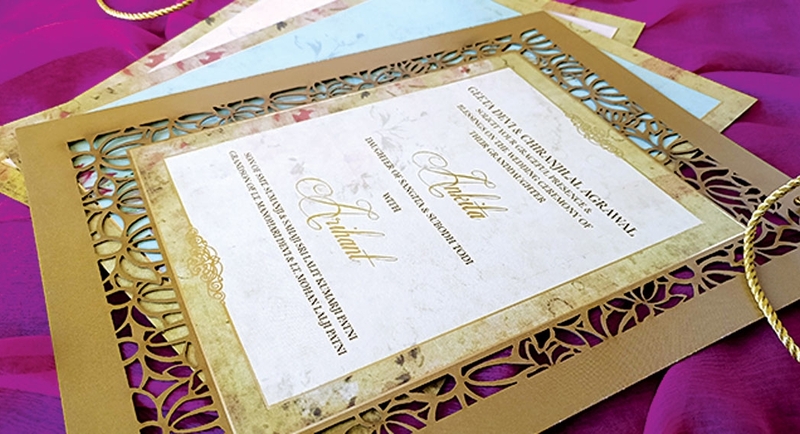 A wedding invitation is the first official declaration of your wedding; it tells your guests about the bride, groom, their families, when and where you need to be. Families have to go through the trouble of travelling, selecting, rushing around, all over and above the pressure of the big day. There are many wedding card makers who offer readymade designs, out of which you simply choose one and place the order, but that has serious limitations since they leave little room for personalization. 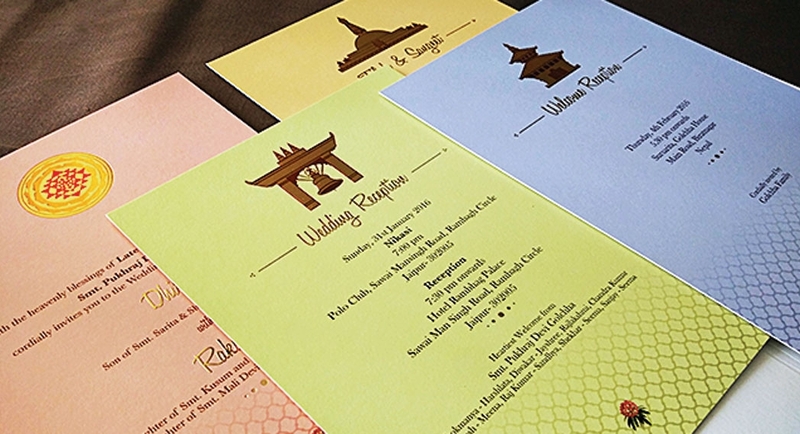 The design is rigid, and many customers feel that their card will be identical to every other card circulating during the wedding season. This is precisely the problem that Mint My Designss wishes to overcome. 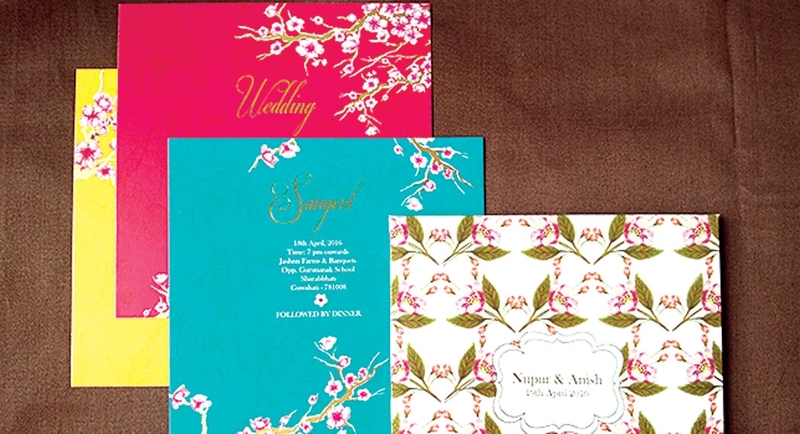 Established by two vibrant women, Aakriti Jalan Dhanawat and Priyanka Agarwal from the small industrial city of Biratnagar, Mint my Designss promises its clients a personalized experience; a wedding card designed just for them. One of their first works was inspired by home. 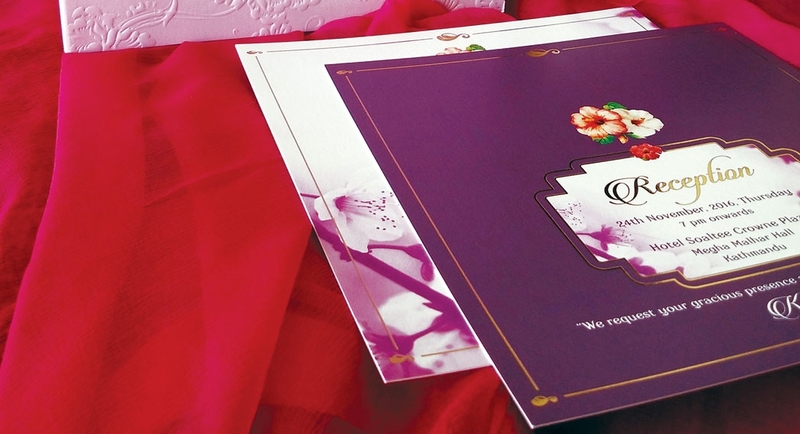 Dhiraj’s family wanted the card to reflect Nepali culture in the “simplest way possible”. The final product was tranquil; Nepali motifs embossed on the top of the leafs; a piece of thangka painting, a golden imprint of the Swoyambhunath, a multi-storeyed pagoda and also Laliguras, Nepal’s national flower, was cleverly used as the stickers. “We were proud to represent our own home, instead of a flower or the ever-present Ganesha. It brought a sense of authenticity to the card,” recalls Aakriti. Mint My Designss takes pride in being the pioneers of concept-based wedding card designers in Nepal. You no longer have to hunt from city-to-city or store-to-store in search of an impressive invite. Along with cards, they also conceptualize and design matching stationeries, gift/sweet boxes, gift bags, web invites, luxury gifting and packaging as well as corporate gifting and packaging options. Their eloquent color, design and splendid textures are sure to woo your guests and make them look forward to your big day with tons of excitement.